Engineering Capabilities | Robson Industries Inc.
Our engineers have been designing industrial cooling systems since 1976, with an eye towards providing the best value for the customer. We will work with you to engineer a smart solution to any process we work with. We have a variety of pre-engineered systems available, but for many applications, a custom modification of these standard designs is required. 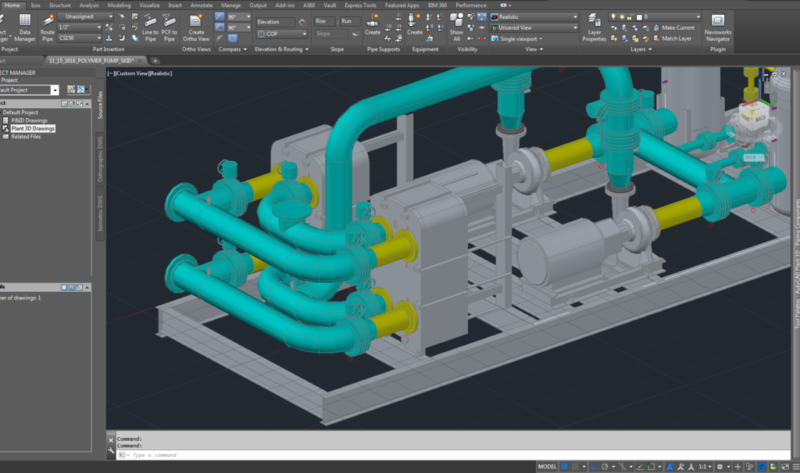 Robson Industries Inc. utilizes the latest 3D CAD software to help us communicate with our clients starting at the initial stages of the project. This design will form the basis of the project, from design to fabrication to testing, to final documentation. Electrical controls are designed and built by our in-house panel shop and range from simple IEC or NEMA motor starters to the most sophisticated Touch Screen PLC solutions utlizing Allen-Bradley or Siemens controls. During our intial conversations, your Robson Industries Inc. engineer will work with you to determine what sort of system might work best for your installation, and recommend the best of options. Our experienced manufacturing engineers will take your project from the design stage through fabrication, where your equipment will be thoroughly tested prior to shipment. We’ll then provide complete documentation and work with you to help make the installation go as smoothly as possible. On-Site Engineering Support is available world wide.